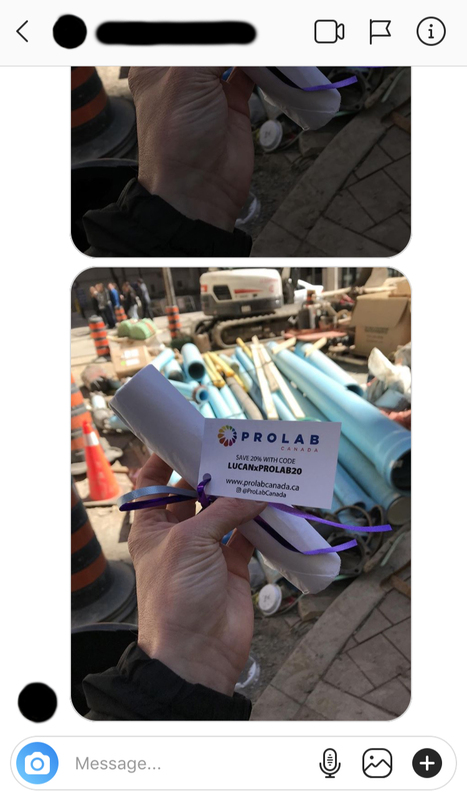 In March of 2019 I partnered with ProLab Canada to create a high-impact social media campaign which would engage Toronto’s photography community in the real world. ProLab Canada provided 24 photographic prints which I packaged up and hid near iconic Toronto landmarks. I shared the hiding places on my Instagram stories and allowed my followers to hunt down & keep the print packages they found. Some of these packages were discovered & claimed within just ten minutes. These print packages were branded with ProLab Canada’s business cards, which included a discount code for 20% off any order.